Mountain bikes are rugged and ready for anything. They give you maximum control over rough terrain, and are perfect for days out in the hills or thrill-seeking adventures. Designed for riding over difficult and challenging terrain, mountain bikes typically use very strong frame designs with thick & rugged tubing to handle the forces. Frames are usually made from aluminium, steel or carbon. 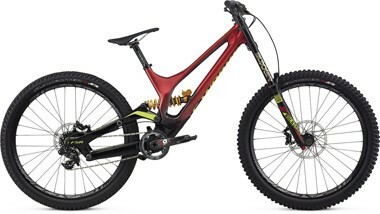 A 'Hardtail' mountain bike has suspension on the front wheel only, whereas a 'full-suspension' or 'dual-suspension' mountain bike has suspension on both the front and rear wheels. Full-suspension mountain bikes absorb more of the rough ground than hardtails, but are typically heavier and more expensive. Adult mountain bikes traditionally always used a 26 inch wheel diameter. 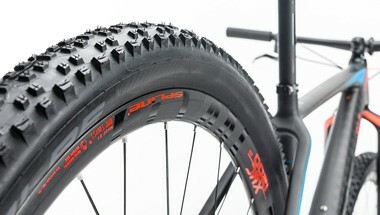 However, in recent years larger 27.5 inch and 29 inch wheels have become the normal sizes. Mountain bike tyres are much wider than tyres fitted to other types of bike, and have chunky & aggressive tread patterns which bite down into loose terrain. Mountain bike tyre widths typically range from 2.0 inches to 2.6 inches wide, with 'plus bike' tyres up to 3.5 inches and 'fat bike' tyres up to 5.0 inches wide. Although first seen many decades ago, disc brakes as we know them today began to appear on mountain bikes in the 1990s. Because of the dirt and mud the bikes weer riding through, traditional rim brakes would clog up and lose performance. Disc brakes are mounted away from the dirt and are effectively self cleaning, meaning there's no loss in performance when the trails get mucky and wet. 1x or "one by" gearing was once once only found on inexpensive bikes which didn't have, or need, a wide range of gears. That changed when mountain bikers, who wanted wide range gearing, often found that the chain would jump off their double or triple chainsets because of the rough terrain. In recent years, SRAM pioneered wide-range 1x 11-speed gears using 'narrow-wide' chainrings which have narrow & wide teeth to match the chain links. This gives riders a wide range of gears to get up and down steep hills, without the chain coming off. 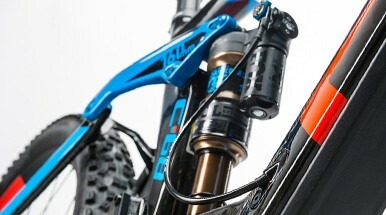 Not to be confused with suspension seatposts, dropper posts might seem simple, and yet they have been revolutionary in mountain biking. On the way up the hill, it's faster and more comfortable to sit in the saddle and pedal like a road bike, which means the saddle needs to be set high. On the way back down the hill, standing up gives more control over the bike, but a high saddle gets in the way. At the push of a button, dropper posts allow the saddle to move up and down at a moment's notice. 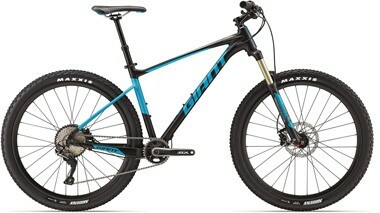 If you’re new to the world of mountain biking, a hardtail mountain bike is a great place to start. By having front suspension only, you receive more feedback from the bike which makes it ideal for building and developing skills. 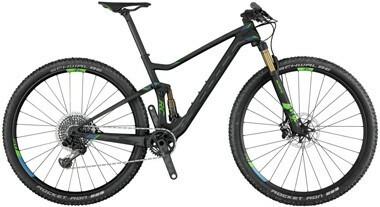 Hardtail mountain bikes are also more efficient to pedal and lack the extra weight of complicated rear suspension, making them popular with cross-country racers. Designed to be ridden for long periods of time over long distances, XC bikes are lightweight and have between 90 to 120mm of suspension travel. They absorb trail obstacles such as roots and small rocks, improving your control of the bike. Due to the low amount of suspension travel and geometry, full suspension XC bikes are still efficient to pedal uphill. With between 120 to 150mm of suspension travel, trail mountain bikes are perfect for riding at most trail centres. They have a stronger frame and weigh a little more compared to XC bikes. However, trail bikes still pedal efficiently and are capable of taking on jumps and drops with ease. Jumps, drops and other challenging terrain are a big part of all-mountain/enduro riding. These bikes typically have 150 to 180mm of suspension travel, with a longer wheelbase to improve stability and a wide handlebars/short stem combo to make steering at speed easier. Compared to downhill bikes, AM bikes are relatively lightweight as pedalling uphill is a priority. Available with up to 220mm of suspension travel, downhill mountain bikes take large jumps, steep drops and fast, technical terrain in their stride. 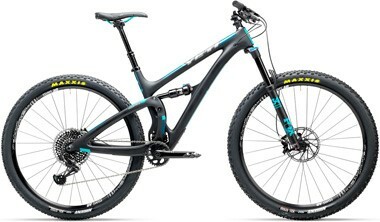 The frames are stronger and heavier than other mountain bikes, with slacker geometry to improve control at speed. The long-travel 'triple-clamp' forks add strength and stability to the front of the bike.